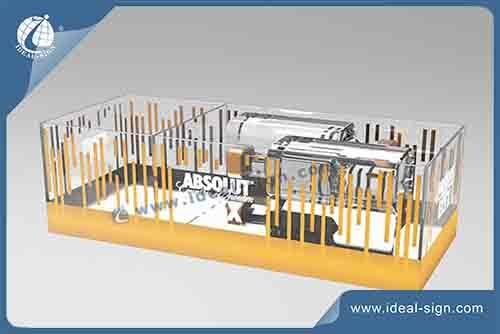 The Absolut ice bucket is specially designed for the new Absolut line. With a separate inside the bucket in the position of 1/3 part, and a rechargeable battery under the base, the transparent ice buckets lighted perfectly with white LED. The basic Absolut Golden color and the watering transfer printing lgoo makes this ice buckets special.